Just south of Myrtle Beach is a 2 mile long stretch of residential beach and the city of Surfside Beach, SC. 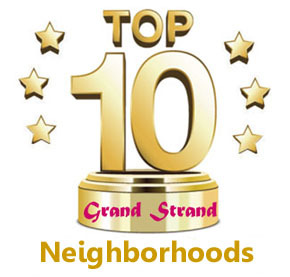 Surfside has grown immensely in the last ten years, and has its own set of great restaurants; doctors, dentists, grocery and drug stores, the nearby Inlet Square Mall, and everyone's favorite Surfside Pier. Surfside's center is the intersection of Highway 544, which offers a large Kroger shopping complex, along with a combination of strip malls and businesses that makes it a hub of activity. The entrance to the huge Ocean Lakes Campground is across the street here, and the Myrtle Beach State Park is just a mile or so back, in a five mile stretch of Hwy 17 between the two, un-incorporated and mostly county-owned. Hwy 544 is also a busy thoroughfare between Surfside and its nearby inland community, Socastee. Prestwick Country Club and Golf Course is located just off Hwy 544, as is the popular Wicked Stick course. There are many fine gated communities around the courses, and 544 reflects the traffic of the businesses as well as these residents. 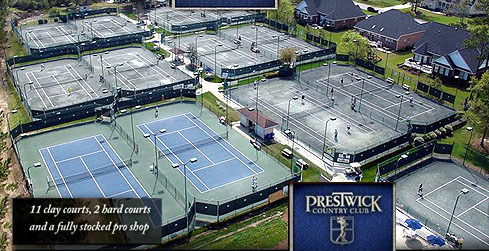 Prestwick is a tennis-lover's delight as well as a golf course community, boasting eleven courts for the residents. The beach itself is lacking in the big high-rise resorts of its neighbor Myrtle Beach, but is still chock-full of smaller condo buildings and vacation rentals. Look for favorites like the Channel Marker oceanfront condos, Plantation Resort, or Fairway Ridge golf condos, among others. You'll find more of the original older beach houses in Surfside Beach. Everything in Surfside says "residential", from its beautiful golf course condos and homes to oceanfront surfside beach condos. 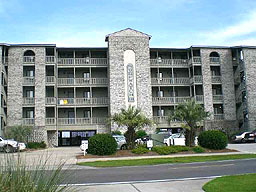 If you want to live and play away from the crowds but still have it all, then Surfside is your place to be. Browse the listings below, use our search tools up top, or call us for advice and suggestions about your needs in Surfside Beach real estate. 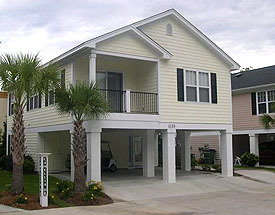 We specialize in Surfside Beach homes, and have more listings in Surfside than other Myrtle Beach real estate agencies.